Mafieso is a playful font. 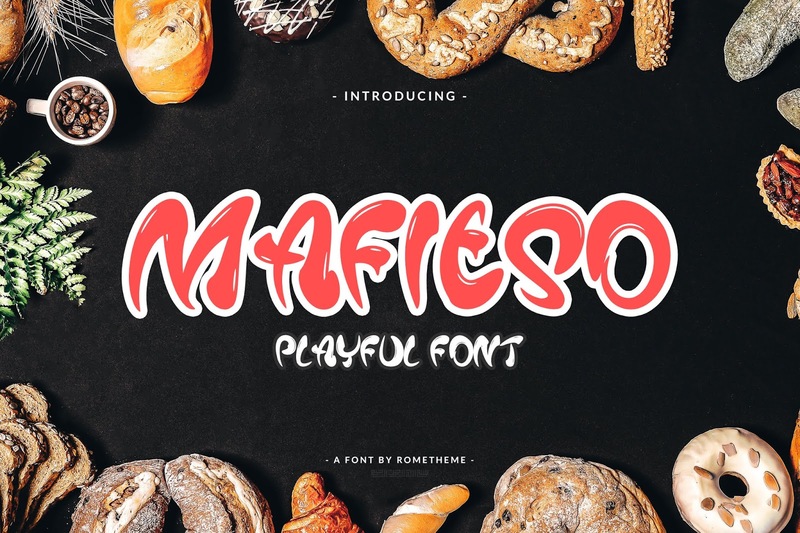 Mafieso a display font for packaging, logo, branding, website headline, food menu, kids or woman apparel designs, signatures, and all project design other. Mafieso comes with sweet, playful, cute style. It contains a full set of uppercase letters, a large range of punctuation, and numerals.